A young man had big, big dreams and he worked tirelessly on those dreams all by himself, blazing a trail where there was none. He worked long hours and made many, many mistakes that have added up to great triumphs. This shack was his castle. It is a grand structure of ideas, so much grander than its humble appearance might reasonably (without imagination) suggest. Its grandeur comes not from the walls or roof but from its purpose. The shack protected the kingdom of the young man’s dreams which became his destiny. Today the shack stands among weeds, no longer in use. The casual passerby would never know what history the rotted wood harbors, but we know. The dreams and the dreamer know. And the people that allowed that young man to dream know. The weeds might not be aware of the history but they witnessed all. They are accepting of the shack of dreams because it is their destiny to accept and welcome all and better their kingdom. 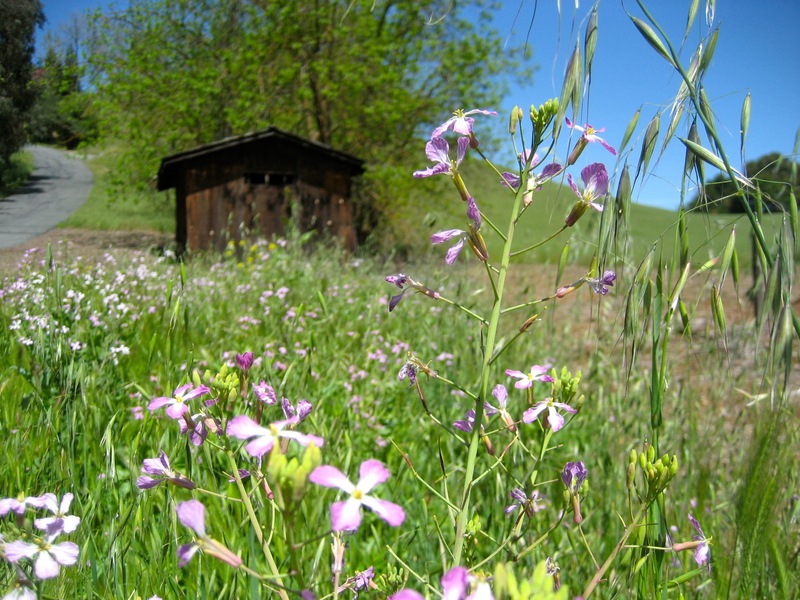 They are happy to share their sun with wildflowers and the shack of destiny. It only makes them look better to be in such good company. I know how they feel. These weeds made me dream of that young man who became my destiny. I am a lucky, lucky gal! Thank you weeds, once again. That is beautiful photograph, and a sweet testament. Love the stories behind the images!